Managing your weight for good health can be a difficult goal to obtain and keep. From counting calories to the numerous diets available to knowing which gym facility to join or what exercises to do, the options can be overwhelming for someone that just wants to get started. It is even more challenging for someone with a special medical need. You add a whole new layer of obstacles on top of what we already mentioned. Don’t be discouraged before you start, or even after you start, for that matter. Weight management is a long and hard journey that requires your soul, mind, and body but it will change your life. Before we start I advise you consult your physician concerning changes in your lifestyle that affect your meals and physical activity. 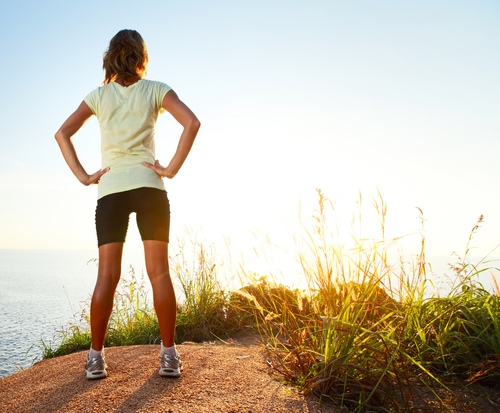 A positive attitude, contrary to popular belief, plays a major role in lifestyle changes. Words of encouragement can be the difference between trying again and giving up. It can also be the difference between short success and lifelong success. As you experience your changes in health, nutrition, and fitness you will also experience changes in attitude. With conscious effort we can help ourselves stay positive even in the face of small failures. Fitness and nutrition education work as part of your overall foundation to a healthier lifestyle. Both work in conjunction to provide the framework needed to achieve your goals. Now, we can go into great detail as to what exercises you should do and what diets you should follow but we will not be doing that. I will suggest a few “easy to remember” tips that will help jumpstart your health and fitness. Once you have conquered the basics you can move on to a more detailed plan. But for now, let’s begin with the basics in fitness and nutrition education. Fitness – Your goal is to burn at least 500 calories a day for 7 days a week. In order for our bodies to lose a pound of fat we need to burn 3,500 calories. 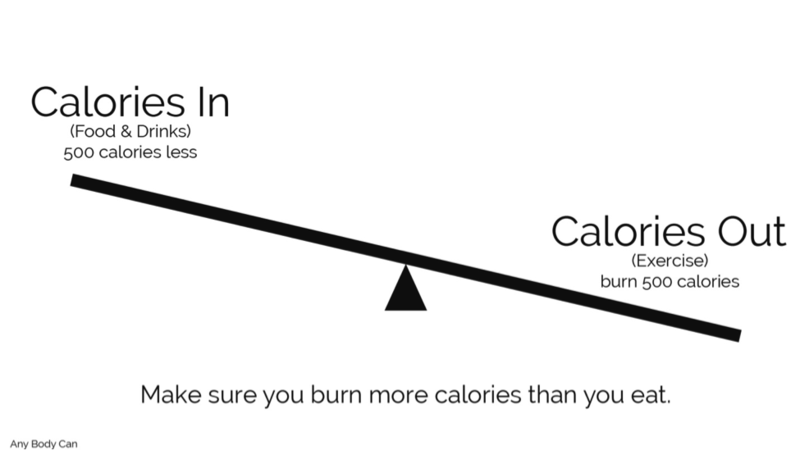 If you burn 500 calories a day and reduce 500 calories from your diet you will potentially lose 1 pound a week. This is a safe method of lowering your weight. Nutrition – Your goal is to practice a well-balanced diet and portion control. 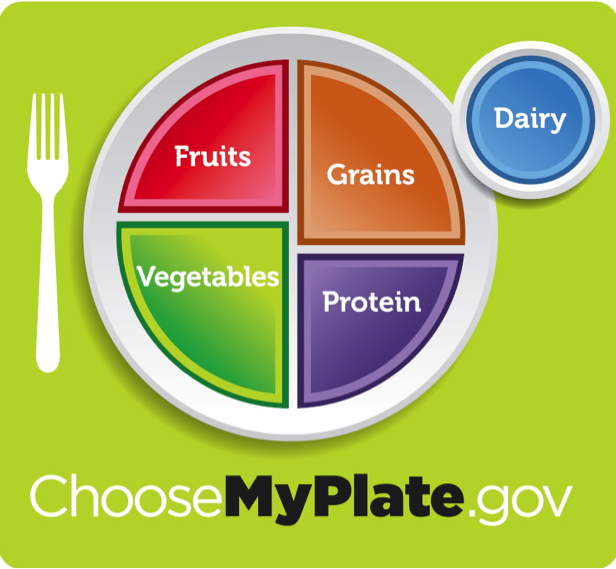 An easy way to remember what a well-balanced diet consists of is by referring to the MyPlate format (www.choosemyplate.gov). 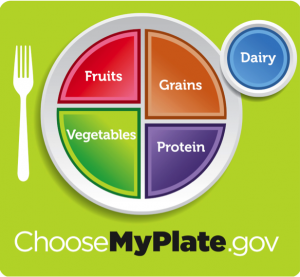 The MyPlate format consists of implementing all food groups at correct portions for each of your meals. There are no special diets to follow and no special formulas to remember. Having the proper knowledge on fitness and nutrition is a great way to get started. 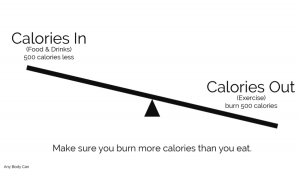 We discussed burning at least 500 calories a day and eating 500 calories less per day. We also discussed having a well-balanced diet for each of your meals. This will ensure meals full of proper vitamins and minerals the body needs to stay healthy without adding extra sugars and fats. Exercise is a crucial step in your weight management. The human body needs to burn off what we eat. Imagine watering your favorite plant on a daily basis. Plants need water to survive, right? But, if we water that plant too much and don’t give it sunlight for the soil to dry, it will eventually get sick. Our bodies are the same way. We eat on a daily basis to survive. But, if we over-eat without burning off those excess calories we will eventually get sick. Now, we mentioned burning 500 calories every day. What does that look like? How much exercise do I need to burn off 500 calories? Is this every day for the rest of my life? Let’s remember that we eat every day so we need to work out every day. Once you have reached a healthy weight you can reduce your work out days to 3-4 days a week instead of every day. Exercise can be fun so take your time and try different activities. You will eventually find something that you enjoy. Eventually you can seek out groups to join within your community. Walking groups and running groups are a great support system! Managing your weight will not be an easy lifestyle change but it will be a healthy change. By reducing your overall weight you also reduce your risk of other ailments like high blood pressure, diabetes, or heart disease. Remember our 3 areas of importance: soul, mind, and body. With a little patience and a lot of hard work you will find your healthy self! My daughter is an “Aspie,” and she has had food issues for many years (she is 21). Recently, she had to leave work due to very low blood sugar. We are trying to help her with eating enough balanced nutrition, but there are some things she won’t eat. She takes multi-vitamins, and her co-workers are aware of her blood sugar issue. We are on a fixed income, and can’t afford to purchase items that will help her to gain and maintain a good weight. She works only part time. What suggestions do you have for her? Thank you.